The SQA Advanced Certificate and Diploma in Art and Design (SCQF levels 7 and 8 respectively) covers areas such as observational drawing, developmental drawing, the creative process, portfolio production, and art and design presentation. This qualification is available through a growing number of colleges and universities around the world. Typically, an SQA Advanced Certificate takes one year to complete and an SQA Advanced Diploma takes two years. 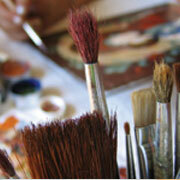 The SQA Advanced Diploma in Art and Design can provide advanced entry to degree-level study. For further information please refer to the SQA university agreements. For information on the structure of this qualification, please refer to the group award specification.